Dr Daniel Jolley, Professor Karen Douglas and Dr Aleksandra Cichocka consider a perhaps surprising potential influence on Thursday's vote. This week, British voters face an important decision. Do they vote to Remain, or do they vote to Leave the EU? For many people, the decision is not clear-cut. 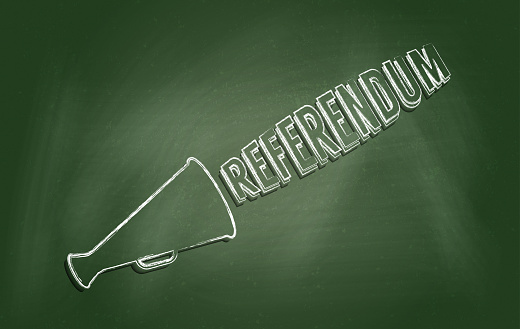 Many voters are uncertain about what it would mean to Remain or Leave. Uncertainty, however, opens the door for conspiracy theories to flourish, and conspiracy theories have been a prominent feature of the Leave campaign in recent weeks. One conspiracy theory proposes that the government has planted Remain supporters within the Leave campaign who ‘defect’ to the other side at crucial moments. Another proposes that the government staged the voter registration website crash as a way to register as many likely Remain voters as possible. Most recently, it has been argued that Jo Cox MP was assassinated by Remain insiders to garner support for the Remain campaign. We know from previous research that conspiracy theories such as these can be powerful attitude changers – conspiracy theories can influence people’s intentions to vote, to engage in climate friendly behaviours, and to vaccinate their children. Sometimes people do not even know they have been influenced. Are conspiracy theories advocated by Leave supporters similarly influential? In recent unpublished research, we surveyed 400 British citizens to address this question. We asked them to rate their levels of trust, alienation, and identification with the UK, their political orientation, and their feelings of powerlessness. Typically, factors such as these predict the way that people choose to vote. We also measured people’s pre-existing attitudes toward the EU. Crucially, we also measured people’s agreement with a range of conspiracy statements such as “The voter registration website crashed in the final hours before the deadline. The government deliberately crashed the system in order to extend the deadline and register as many likely Remain voters as possible.” Finally, we measured participants’ certainty of voting Remain or Leave. We examined the extent to which support for Leave conspiracy theories was associated with voting intentions, whilst taking into account other variables that typically predict voting behaviour. We discovered that all of the factors independently predicted people’s certainty about their EU vote. To give one example, people with right-wing political orientation were more inclined toward Britain leaving the EU. Importantly however, the biggest influences on people’s certainty of voting Leave or Remain were pre-existing attitudes toward the EU, and suppport for Leave conspiracy theories. When all factors were considered together, only pre-existing attitudes toward the EU, and support for Leave conspiracy theories, predicted voting intentions. Very few, if any, conspiracy theories are being promoted by the Remain campaign. This is somewhat unsurprising as conspiracy theories, politically, are generally found in the realm of the right and not the left. But what may be surprising to some is our finding that these conspiracy theories may influence people’s opinions about Britain’s place in the EU above and beyond factors that typically influence people’s political decisions. Will conspiracy theories continue to hold this power come Thursday 23rd June?